When you are headed out for a few hours and just need something a little bigger than a lunch box to store some perishable food, what do you do? Well, you could put it in a bag with a few ice packs, but that won’t hold. You can just take the food with you and hope it holds up, OR you can pick up a smaller cooler. With so many to choose from on department store shelves or shopping online, how do you decide? We’ve got the solution right here. We’ve taken a closer look at some of the best small coolers out there and here’s what we’ve found. to-center . . . . .
Everyone’s needs vary, which is why you need to think about your specific situation before picking up any old small cooler. These are our top picks and we’re sure you’ll find one that will meet your requirements. This little guy is the perfect companion for anyone on the go. The square size helps to keep contents cold for longer periods of time and can hold up to 14 cans. The height of this cooler also make upright storage of bottles much easier. 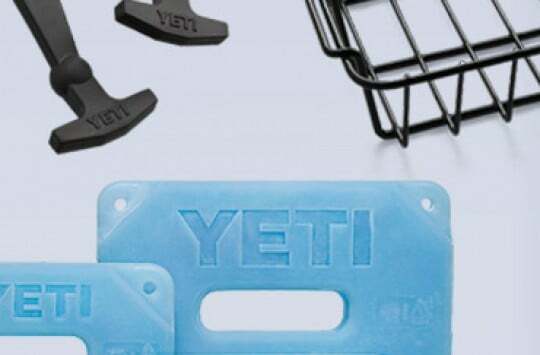 The smaller shape and design make it easy to place on the floor of most vehicles and the snap back top built in to the lid allow you to store more stuff, say things like eating utensils or napkins. Rounded and molded feet allow the cube to sit more firmly on the ground. Users have enjoyed the durability of this cooler. Many have used it on a regular basis, while one user even said that it’s the perfect man-sized lunch box (more about best lunch coolers here). Many have used this one for work with one individual reporting that the compartment in the lid was ideal for his cell phone storage during work hours. This five-quart offering from Rubbermaid comes in red or blue. The small size is perfect for a six-pack, whether that’s for soda or otherwise. The cooler is stain and odor resistant which means you can store your favorite food or beverages, without having to worry if a spill should happen. The top swing handle make transporting and carrying easy when you are on the go. 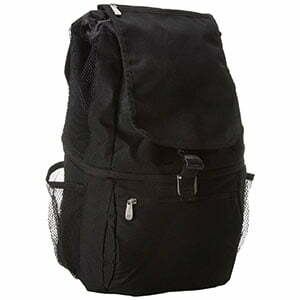 At less than two pounds when empty, this small cooler ensures that you are carrying as little weight as possible. Many users applaud the size of this small cooler, as it is not too big and not too small. One user mentioned finally finding his “lunch box.” The user stated that in the past the coolers that were purchased were either too big or the inside of the actual cooler was too small. Many other users also mentioned how easy the cleanup was. 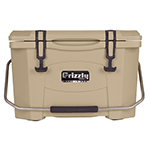 You can find this cooler in green or navy, as well as in a seven or sixteen quart size. Double wall foam keeps items cold, while a leak resistant lid locks in the cold. The larger size holds nearly a case of canned beverages and can keep items cold for up to a day and a half. You’ll also find bungee cords on the lid to hold down items you may need quickly. One user reported some hesitancy in purchasing this cooler but after several uses admitted that it stood up to the test. In fact, in a follow up review the user mentioned that is has been in vehicles, boats and even in a kayak and held up to the rigorous use. Another user mentioned that it was also kept in the car with just frozen ice packs and temperatures nearing triple digits, with the Stanley holding up and keeping contents cold. Are you looking for a cooler that won’t need ice? Do you need a food warmer? Do you want something that can do both? 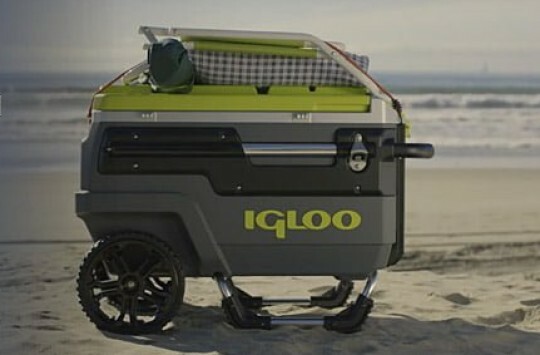 Well you are in luck as Wagan’s 12 Volt 24 Liter capacity cooler and warmer can do both. The two-temperature setting can either cool your items to 32 – 36 degrees Fahrenheit or warm it up to 140 degrees Fahrenheit. You can easily fit four two-liter bottles or 27 cans. Just plug in to your vehicle’s 12 Volt outlet, or use the optional AC adapter to plug in anywhere else and you are ready to go. While it may seem like the dual cooling and heating options would be the most attractive, it looks like the hidden feature many enjoy is the shape and size of Wagan’s Cooler & Warmer. Many users mentioned how easily it fits behind the driver or passenger seats in vehicles. Many users also reported appreciating the location of the fan above, as it can avoid being affected by any leaks or spills that may happen and potentially ruin it. 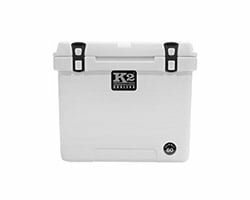 The 10 can soft cooler from Coleman provides one of the most versatile smaller coolers on the market. The durable rubber handle make carrying and transport more comfortable, while multiple pockets provide storage space for items other than drinks that need to be cooled. The pocket on the inside of the cooler makes it easy to insert an ice pack so you can avoid having to use actual ice. 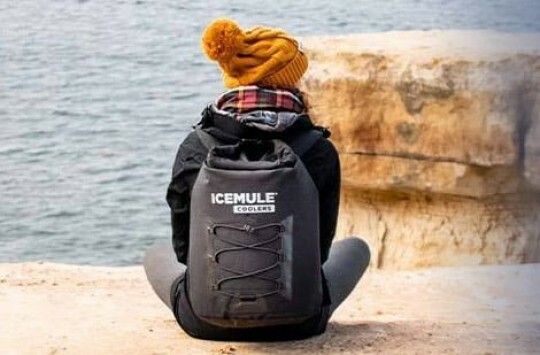 Many users enjoy the versatility that this cooler offers as you can use ice or an ice pack, use the front pocket to store extra items and can use it as a lunch bag or extra small cooler on the go. Some users did report that the Velcro on the front pocket started to wear after a while, but that pocket is more for additional storage and is separate from the actual cooled section. If you are looking for the best small ice chest cooler on the soft side to replace your lunch can, then this may just do the trick. Smaller coolers are great for short day trips, if you want to keep items cold for several hours at a time or even to store a few meals. So how do you choose? Here are a few questions to consider. If you frequently transport items that may spill out of containers or use your cooler for extended periods of time where smells have a tendency to stay, then one of the things to consider is the type of material used and the ease of cleaning the product. In this case you may want to check out the Rubbermaid product above. What do you need to store? If you are looking to replace your lunch can and want to store drinks and meals for the day while you are out hunting or fishing, then you may want to try out the Stanley Adventure Small Ice Chest. If you just need something to keep a few drinks cool at the park, then perhaps the Coleman Soft 10 can cooler will do. One of the things that many pay attention to is the price. If you are on a budget then perhaps one of the softer sided coolers will better suit your needs. If you have a little more to spend and want a cooler that can hold ice for a bit longer, then you may want to give one of the more durable offers a try. You should definitely check all small coolers for sale on Amazon. Also check our post about Best Camping Coolers. When and why you should switch to a smaller cooler is entirely up to you. Once you can take a closer look at what you will need the cooler for and what contents you will be filling it up with, then you can decide which one to choose. You can always check back our Cooler Reviews & Guide article and find out more useful tips. 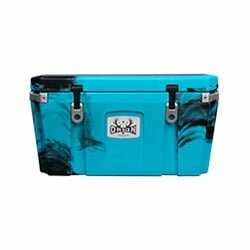 Finding the best small cooler for your specific situation isn’t difficult, however you will need to do a little evaluating of why you need one in the first place. Once you do that or if you already have, then we are confident that you’ll be able to find one on this list that will help to fill those needs. Here is a nice video about Wagan Tech Fridge/Warmer cooler line – No Ice required! Do you know of a small ice chest that has a drain?